What type of credit will I earn through professional development courses? The Center for Executive Education's workshops and seminars are approved for professional development credits. The credits are nationally recognized units for non-credit professional development programs. Credits are awarded based upon hours of class time. You must successfully complete the course or courses to receive professional development credit. A record of nationally recognized credit units is maintained by the Center for Executive Education. Will I receive a grade or take tests? No, you will not receive a grade or take tests. If you successfully complete a workshop and seminar, you will receive a Certificate of Completion. Tests are given only in specific courses in our certificate programs. You may register for workshops and seminars in person, by phone, fax, email, online, or at the door. These methods of registration are available for early registration. There is no application process. Early bird discounts are available in some classes. Many workshops and seminars are filled to capacity several weeks before their beginning dates. In most cases, you should try to register at least two weeks prior to the course beginning dates. Many programs are limited and competitive. Early registration is strongly recommended. Some workshops and seminars may be rescheduled unless sufficient enrollment exists two weeks prior to the course beginning. Your registration fee covers manuals, course materials, parking, breakfast, lunch, refreshment breaks, and nationally recognized credit units. The exception to this policy are programs of short duration – four hours or less. Who can enroll in workshops and seminars? Anyone who can benefit from specialized programs. Are workshops and seminars taught by live presentation or online? All of our workshops and seminars are taught live by subject matter experts. Courses are interactive with an excellent blend of lectures, discussions, case studies and experiential exercises. Will my company tuition assistance program pay for professional development programs? Many company tuition assistance plans do cover continuing education courses which award nationally recognized credit units, such as CEUs. Some plans require that you pay first, then request/file for reimbursement. You need to check with your company's tuition assistance coordinator for the specifics of your plan. Are workshops and seminars tax deductible? Current tax laws permit deductions for registration fee, travel, meals, and lodging to maintain or improve professional skills. Consult a tax specialist for detailed information. Do you offer a guarantee on course satisfaction? Yes. If you are not 100% satisfied, we will refund your registration fee. We do ask, however, that you bring any problems you may have with courses to our attention and return the course materials by the last class day. It's part of our commitment to provide you with the highest quality of programs. Certificate programs are recognized by most employers as a significant accomplishment and can lead to new jobs as well as promotions for those who attain them. 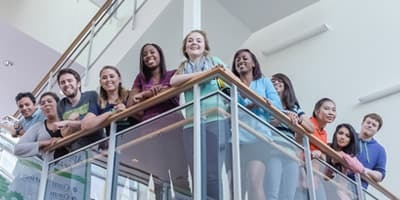 They are also typically more relevant and focused for today's workforce than an academic degree and can be completed in a much shorter period of time. The Center for Executive Education's certificate programs are presented by practicing professionals and emphasize real-world skills you can immediately apply in the workplace. What is a professional certificate program? A certificate program offers you a concentrated field of study in a specific business discipline. The certificate itself demonstrates to your supervisor and peers that you have expanded your knowledge and skills. With new knowledge and skills you have also increased your value to your organization and opened doors to future career opportunities. It is a cost effective and efficient way to keeping your knowledge and skills up-to-date. How many classes must I take in a certificate program? The number of classes required varies by program. Normally 6 classes are required. Please see the programs page for your area of interest to find specific program requirements. Notify the Center for Executive Education by completing a 1-page application (for each certificate program). How do I get a copy of a certificate transcript from the Center for Executive Education? 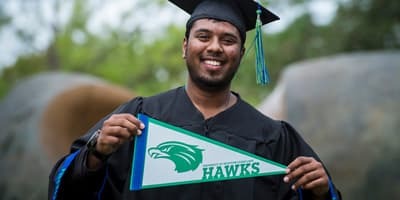 You can get your transcript by calling our office at 281-283-3120 or email us at cee@uhcl.edu. A transcript will be issued after verifying the courses you have taken as well as the successful completion of all required exams. Not all certificate programs require exams. Do classes I have already taken for a certificate program count toward a certificate? Yes, provided the classes were taken through our certificate program and they were not taken two years prior to the start of your program. All required exams must be successfully completed. Do classes for the certificate count for academic credit? 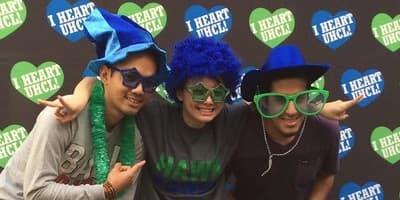 Certificate program classes do not count for academic credit at UHCL. Do I need to buy books for the courses? Our certificate courses include all the materials. There is no requirement to purchase textbooks or resource materials. Where are certificate classes held? Classes are generally held on the UHCL campus. However, we also offer the option to conduct programs in-house at your organization. Call 281-283-3100 for more information. Free parking is available in Parking Lot R, across the street from the Bayou Building. Parking instructions will be issued to you every time you attend class. How will a professional certificate help my career? Updating job skills or knowledge, seeking promotion or considering a career change, the completion of a certificate program documents a specific curriculum of study and emphasizes your commitment to professional improvement. How long does it take to complete a certificate program? The core courses and elective courses vary with each certificate. Refer to individual certificate programs for complete details. May I take courses without being enrolled in a certificate program? Yes, for some certificates you may take courses individually or as part of the certificate program fulfillment requirements. In some cases, you must submit an application and pay an application fee for the certificate program. Are the certificate courses tax deductible? Current tax law permits deductions for tuition, books, supplies and similar items, as well as certain travel and transportation costs incurred to maintain and improve professional skills. Consult a tax specialist for detailed information.